In June’s newsletter, I told you about Hope from San Jose. We met Hope through a mutual friend who knew we were both heading to San Diego State. Hope, like many other incoming students, shared a desire to find an authentic and uplifting spiritual community while at San Diego State, but also an uncertainty of how to find such a community or if it even exists. 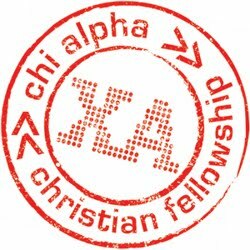 Last month, I shared in our July newsletter’s “looking forward” section that we would be taking two incoming students and two potential staff members to Chi Alpha’s “West Coast Leader’s Gathering.” One of these students was Hope! After only having met us once, she sensed the Spirit in what we were doing, took a leap of faith and came with us for this weekend conference. The other student that came was a member of the youth group we pastored when she was in 7th grade six years ago! A number of you gave extra gifts to help send them to the conference with us. Thank you! God worked in amazing ways. One night we got the opportunity to have an extended prayer time with each other. Both girls expressed a deep desire to grow in their faith and see God use them to minister to others at SDSU. We prayed for them, they prayed for us, tears were shed, and God moved as we saw the first fruits of our partnership team’s investment into San Diego State. I already know for a fact that these girls have already been sharing with their friends coming to SDSU what God has been doing in their lives. To bring the story full circle, these two girls will serve as first President and Treasurer this year along with two other students who have agreed to serve as our VP and Secretary so that we can get chartered as a student group this Fall. Today as I write this, Hope and her family are driving down to move into her new house near SDSU. We are going to help her move in, and then have her family over for dinner and they will stay the night at our new house, perfectly built for such ministry, before heading back up North tomorrow. Thank you God for your favor for and for giving us great opportunities to minister before school has even started! Thank You Emmanuel Church in Arcadia! Just this last week I met with pastor Thomas Shriver of Emmanuel Church in Arcadia. Pastor Thomas joined our monthly partnership and also gave us a special gift to purchase our first pop up tent and tables. What a blessing! 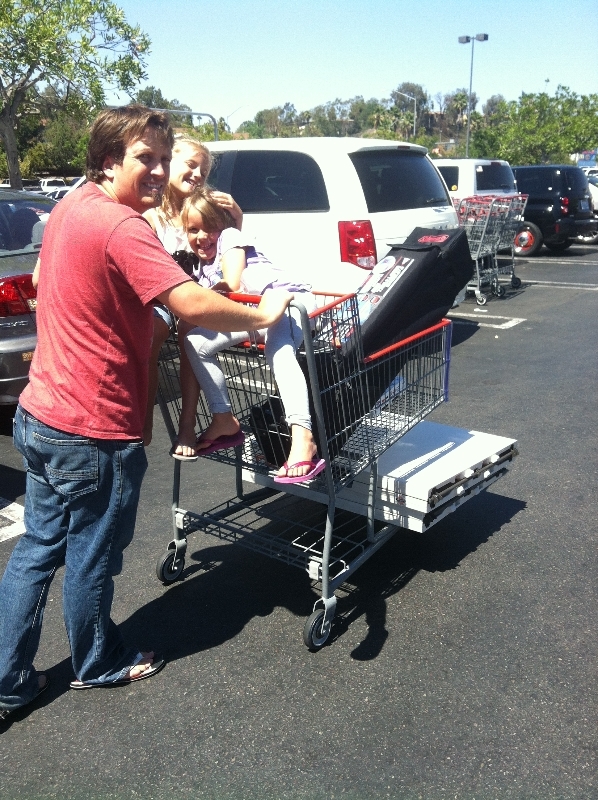 Here is a picture of me and the girls going to Costco where we were able to get an awesome SDSU Aztec pop up tent and two folding tables. These will be a HUGE help as we begin to get on campus to engage students and invite them to our meetings and events as well for hosting parties like tailgates for students at the Aztec football games this Fall. The girls have been taking swimming lessons the last two weeks. Peyton was already a good swimmer, but is even stronger now. Amber is on the verge of breaking through. She gets a few strokes a time, but just needs to gain confidence to string them together. Peyton and Amber also start school next Thursday August, 14. We took them by the school to get them registered and they are excited, but we are praying with them that they will make some great new friends quickly. They are a little nervous about that. We've been prepping the girls for Fall classes. Amber will be taking ballet again, Peyton will be doing horse riding lessons (thanks Ashley Alderton for your generosity! 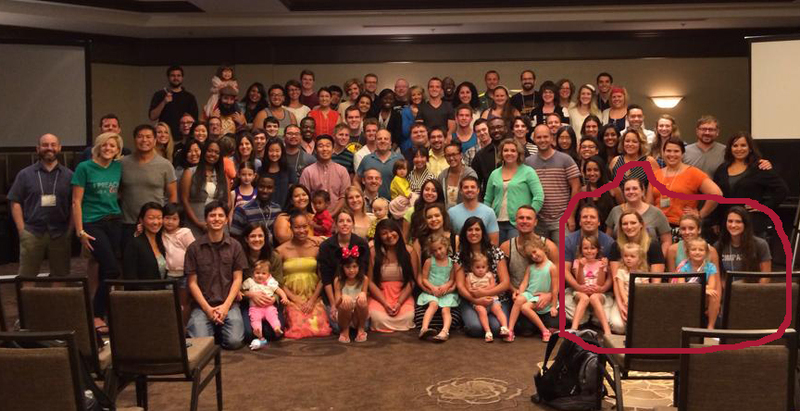 ), and Eden will be taking some preschool type classes at the local YMCA. Kendra has been a busybody around the house decorating and doing projects. I'm sure she'd love you to check them out on Facebook and comment if you like what she's done.